With a passion for creating memorable guest service, we created a customized program that is guaranteed to increase your guest service scores. TrueGuest scores service standards and pinpoints every area of opportunity your hotel has to make long-lasting guest impressions. We provide you with the most effective customer service training tool available. TrueGuest’s mystery shopping programs also include a thorough review of your property’s internal controls. We serve nearly every major brand such as Ritz-Carlton, St. Regis, Renaissance, Marriott, Hilton, Hyatt, Westin, Radisson, Holiday Inn, and Wyndham, as well as independent hotels. Whether your hotel is a 1 Diamond or a 5 Diamond, we have a program for you. Our services range from individual outlets to complete, overnight visits. 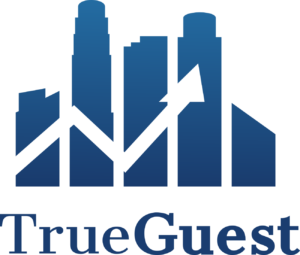 TrueGuest is the ultimate training and measurement tool. Our analysts have the hospitality experience you need to give you results that you can count on. Our reporting is simple to understand and easy to use as a cornerstone for your guest service program. Click on the Mystery Shopping tab for more information about our services. This entry was posted in Food & Beverage, Restaurants and tagged breakfast buffets, buffet service, omelet station. Bookmark the permalink. This entry was posted in Ask TrueGuest, Bars and Lounges, Liquor Controls and tagged hotel bars, Liquor Controls. Bookmark the permalink. This entry was posted in Ask TrueGuest, In Room Dining and tagged amenities, Ask TrueGuest, hospitality, hotel in room dining, hotel restaurants, hotel room service, hotels, menu prices, Restaurants, room service menu, service operators, tough times. Bookmark the permalink. This entry was posted in Food & Beverage, Guest Service and tagged accountability tool, benefits of mystery shopping, comment cards, hospitality, hotel mystery shopping, hotels, loyalty, mystery shopping, proper accountability, service improvement, shoppers. Bookmark the permalink. 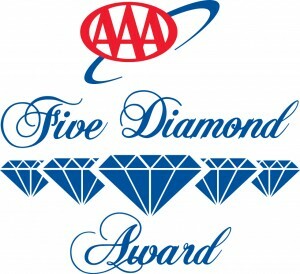 To see the complete lists of 2019 AAA Four and Five Diamond Hotels, visit AAA.com/DiamondAwards. To see which cities and states have the most award winners, see AAA Four and Five Diamond Hotel Facts. Also of note among the new additions to the list is the first Five Diamond Rated property in Grenada, Spice Island Beach Resort. The Broadmoor in Colorado Springs remains the only hotel that has maintained the Five Diamond Rating for 41 consecutive years – since 1976 when AAA first introduced the Diamond Ratings for accommodations. The Inn at Little Washington Dining Room in Virginia remains the longest tenured Five Diamond restaurant, the only one to maintain the coveted status for 29 consecutive years, since 1988. Currently, only .3% of all AAA-rated hotels achieved the Five Diamond Rating. AAA rated 59,000 hotels for 2019.